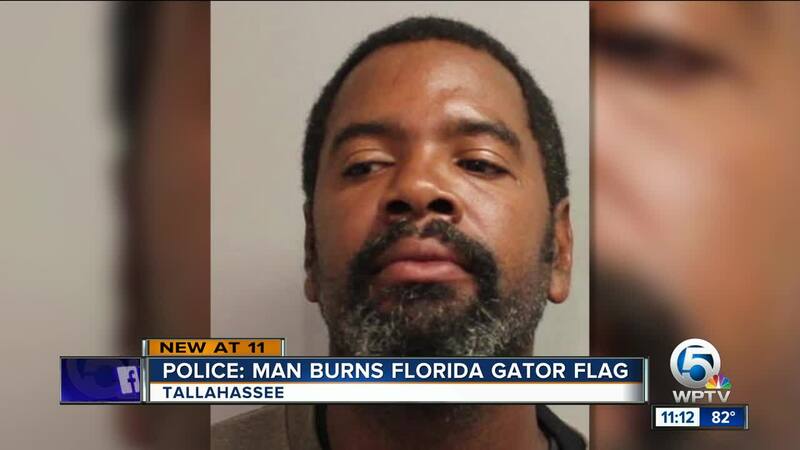 Police arrested a Tallahassee man for allegedly setting fire to a Florida Gators flag attached to a car – telling police he did so because he is a fan of the rival Miami Hurricanes. Iran Walters was booked into the Leon County Jail this weekend and charged with four counts that included second-degree arson and possession of marijuana. According to local media, the car’s owner called police and said she saw Walters randomly lighting her Nissan Altima on fire before leaving the scene – telling officers he returned and tried to talk to her before fleeing again. Walters has a prior criminal record that includes drug possession charges and assault with a deadly weapon. The Florida Gators and Miami Hurricanes have met just seven times in football since discontinuing their annual game after the 1987 season but are scheduled to open the 2019 season on Aug. 31 in Orlando.